Abstract: This article presents the most important results of a study on the university political commitment of students at the Otto-von-Guericke-University Magdeburg. The study focuses on the question of why and how students at the Otto-von-Guericke-University Magdeburg become involved in university politics. Semi-standardized interviews are conducted with students from different educational backgrounds. The Civic Voluntarism model by Brady, Schlozman and Verba, and Bourdieu’s capital theory were used to evaluate the interviews. This provides an insight into the relationship between participation-relevant resources, or capital, and political commitment. On the basis of a comparison of the interviews, hypotheses are developed that can be regarded as the results of the study. The study thus provides insight into the significance of social origin and political participation, as well as socialization-related factors. Zusammenfassung (Stefanie Lübcke, Fabian Mußél & Anja Franz: Das Privileg, politisch aktiv zu sein – eine qualitative Untersuchung zum hochschulpolitischen Engagement Studierender): In diesem Artikel werden die wichtigsten Ergebnisse einer Untersuchung zu dem hochschulpolitischen Engagement von Studierenden der Otto-von-Guericke-Universität Magdeburg vorgestellt. Im Zentrum der Untersuchung steht die Frage, weshalb und wodurch Studierende an der Otto-von-Guericke-Universität Magdeburg hochschulpolitisch aktiv werden. Es werden halbstandardisierte Interviews mit Studierenden unterschiedlicher Bildungsherkunft geführt. Für die Auswertung der Interviews wurde auf das Civic-Voluntarism-Modell vonBrady, Schlozman und Verba sowieauf Bourdieus Kapitaltheoriezurückgegriffen. Damit gelingt der Einblick in den Zusammenhang von partizipationsrelevanten Ressourcen, beziehungsweise Kapitalien, und politischem Engagement. Auf der Grundlage des Vergleichs der Interviews werden Hypothesen entwickelt, die als Ergebnisse der Untersuchung anzusehen sind. Die Untersuchung gibt damit Einblick in die Bedeutung von sozialer Herkunft und politischer Teilhabe, sowie sozialisationsbedingten Faktoren. Аннотация (Штефани Любке, Фабиан Мюсель & Аня Франц: О привилегии быть политически активным – качественное исследование степени вовлечённости обучающихся в вопросы политики высшего образования): В данной статье представлены наиболее значимые результаты исследования о степени вовлечённости студентов Университета имени Отто фон Герике в Магдебурге в вопросы политики высшего образования. Центральным вопросом исследования является следующий: что движет студентами Университета имени Отто фон Герике в Магдебурге в их желании участвовать в решении вопросов политики высшего образования. Были проведены полустандартизированные интервью со студентами разных направлений подготовки. Для обработки результатов интервью использовались модель гражданского волюнтаризма Бреди, Шлоцмана и Верба и теория капиталов П. Бурдьё. За счет этого удалось установить связь между ресурсами (в частности, капиталами), стимулирующими участие в данном виде деятельности, и непосредственно самой политической активностью. На основании сопоставления интервью были выдвинуты гипотезы, которые собственно и являются результатами проведенного исследования. Исследование позволило сделать заключения о роли таких факторов, как социальное происхождение, политическое участие, успешная социализация. In Germany, certain population groups participate in political life more than others, from voter turnout to work in political parties. As a rule, those who are politically more active are those who are more highly educated, have sufficient material resources and are well integrated socially (Vetter, & Remer-Bollow, 2018, p. 79). At German colleges and universities, the legally-anchored participation offer to students allows them to get involved in student self-administration (Dippelhofer, 2014, p. 147). In these university committees, students are called upon to represent their interests inside and outside the university and thus influence (higher education) policy decisions (ibid.). However, interest in the self-interest of the country’s future “elites” has never been as low as it is today. While in 2004 four percent of students were still frequently involved in student self-administration, in 2016 the figure was only two percent (Multrus, Majer, Bargel, & Schmidt, 2017, p. 82). On the one hand, it can be assumed that with the Bologna reforms and the associated, increasingly neoliberal orientation of the universities, students have less time and energy for committee work in higher education institutions (Brüchert, 2010, p. 37ff.). On the other hand, it can be assumed that within the university similar selection processes take place according to cultural, social and material aspects as related political commitment in general. The present research project will therefore address the question of why and how students at the Otto-von-Guericke University Magdeburg become active in higher education politics, where their interest in student politics is very low. The voter turnout in 2017 for the student council of the Otto-von-Guericke-Universität was only 19.7 % (see the quantitative overview in: Otto-von-Guericke-Universität , especially p. 5). More specifically, the question is: To what extent have students with different educational backgrounds become active in higher education policy and what motivated them to do so? The Civic Voluntarism model, (Brady, Schlozman, & Verba, 1995) in conjunction with Bourdieu’s capital theory (Bourdieu, 1983) will be used to explain political inequality as an interpretive framework for the evaluation of the research results. Subsequently, hypotheses are formulated that attempt to demonstrate the commitment of the interviewees to higher education policy. In this way, the study attempts to reconstruct empirically the biographical effects of the neoliberal social transformation, which currently appears to have reached its peak, for each specific possibility of participation in distribution struggles. In the following, connecting lines of the socio-cultural capital theory according to Bourdieu and the socio-economic “Civic Voluntarism Model” will be presented. Subsequently, there will be consideration of the empirical implementation of educational research projects on participation-relevant factors in political work. When Brady, Verba and Schlozman began their investigation of possible participation-relevant factors, by asking why people are not politically active, the answers they received were: “because they can’t, because they don’t want to; or because nobody asked” (Brady, Verba, & Schlozman 1995, p. 271). Thus, they identified three factors relevant to participation: resources, political involvement and social inclusion (ibid., p. 271). “Because they can’t” in the Civic Voluntarism model refers to the area of resources. These consist of three elements: money, time and civic skills (ibid., p. 270). Whereby the Civic Skills refer to a series of cognitive, communicative and organizational skills which are acquired particularly during socialization within the family and in the further course of life (ibid., p. 438). The civic skills act as a kind of cost-reducing factor in the field of political activity, for example if people can follow political speeches well and quickly, they need less time to understand them (Hansen, 2009, p. 17). Moreover, in contrast to the elements of time and money, the civic skills do not minimize themselves with political activity; instead, the civic skills are maximized through political participation (Verba, Schlozman, & Brady, 1995, p. 561 f.). The resources time, money and civic skills influence each other and are strongly dependent on a person’s level of education. As a result, “participation-relevant resources are distributed along typical lines of social inequality” (Vetter, & Remer-Bollow, 2018, p. 84). According to Brady, Verba and Schlozman (1995), the area of resources is the most important explanatory factor for a person’s political participation. In addition, the rational choice approach is integrated into the field of resources, in that the authors emphasize that the extent of the resources determines how high the costs are that have to be raised to be able to participate politically (ibid, p. 287). Before a person becomes politically active, one would weigh the costs against the benefits and only become active if the benefits are higher than the costs. Although this view has a lot in common with the models of rational choice, Brady, Verba and Schlozman emphasize that people only participate when they can. In contrast to many rational choice approaches, this puts resources at the centre of their research and not personal decisions (Hansen, 2009, p. 30). The factor of political involvement refers to whether people want to become politically active, i.e. to a person’s motivation to become politically active (Brady, Verba, & Schlozman, 1995, p. 343). Although political participation and political involvement positively influence each other, the authors assume that motivation would precede political involvement to a certain degree (ibid., p. 345). The area of political involvement includes political interest, by which the authors mean a subjective self-assessment of political knowledge (ibid., p. 345 f.). In this context, it is about the “subjective feeling that they can make a difference” (ibid, p. 272). They investigate political informativeness, which, in addition to formal knowledge of political facts, also describes an individual’s psychological involvement in political facts (ibid., p. 347). This also includes the aspect of the extent to which a person can identify with a particular party. Concerning the third factor of political participation, Brady, Verba and Schlozman refer to the extent to which people are integrated into non-political networks (Gabriel, 2004, p. 327). Social inclusion has two effects on a person’s probability of participation (ibid., 2004, p. 326 f.). On the one hand, the Civic Skills are further developed through membership in social networks and, on the other hand, with high social integration the probability of being addressed directly, of becoming politically active, is higher than with low social integration (Brady, Verba, & Schlozman, 1995, p. 272). Actors of the social network to whom the authors refer come from their immediate environment and can be friends or colleagues, for example. In this context one can speak of political recruitment, which, according to Brady, Verba and Schlozman, is all the more successful the better the people know each other (ibid., p. 272 f.). In the scientific discourse, the Civic Voluntarism model of Brady, Schlozman and Verba is predominantly assessed positively (Hansen, 2009, p. 23). One point of criticism is the one-sided connection between the factors relevant to participation and political participation. Although Brady, Verba and Schlozman themselves note that political participation can also influence participation-relevant factors (ibid.). That the model cannot be applied to the diversity of different forms of participation is sufficient ground for criticism (Aldrich, 1997, p. 421 f.). A further problem is that Brady, Schlozman and Verba repeatedly suggest at the theoretical level that the three factors influence each other, but that these interactions are not included at the empirical level. There the authors discuss the three elements as independently acting variables (Hansen, 2009, p. 24). In his theory of capital Pierre Bourdieu describes the position of a person within a society by capital endowment (Bourdieu, 1983, p. 185). Capital occurs in different forms and these forms can be transformed into each other. He mentions economic capital, such as money, social capital determined by “belonging to a group” (ibid., p. 196), and cultural capital. Cultural capital exists in three different forms: the incorporated, the objectified and the institutionalized form (ibid., p. 185). In its incorporated form, it represents the “being” of a person that develops through socialization within the family. Bourdieu calls this “being” the “body-bound (…) internalized (…) knowledge” (ibid., p. 187) or also the habitus of a human being. Institutional cultural capital preserves the volatile incorporated cultural capital. The three forms of capital are interdependent and influence each other. For example, the possession of sufficient economic capital ensures that a person has the time to acquire knowledge, i.e. cultural capital. The extent to which a person possesses these forms of capital depends mainly on the family and the socialization within it (ibid., p. 187). Thus, capital endowment is inherited and the process of reproducing social inequality begins. Since certain institutions have a specific endowment of capital, there is unequal treatment of people with different endowments of capital. The empirical findings to date on the connection between social origin and political participation indicate that it is ultimately the habitus that determines to what extent a person becomes politically active or not. From both the participation-theoretical and the socio-cultural approach, it was first established that social and political inequality are always closely linked. On the other hand, it became clear that socio-economic status alone does not provide a plausible explanation for the different political participation of different population groups. By combining the standard socio-economic model and the models of rational choice, the Civic Voluntarism model was able to provide a plausible explanation for political participation. However, some questions remain unanswered, especially at the empirical level: To what extent does political participation influence the factors relevant to participation? How do the individual factors interact with each other? Answers to these questions can be found by using Bourdieu’s theory of capital. In this theory, social origin determines the “being” of a human being. However, the convertibility of the various forms of capital into one another also makes it clear that participation and the factors relevant to participation can influence one another. There is also a challenge in this theory. Although cultural capital in its institutionalized and material form can be empirically examined in part by looking at the level of education and socio-economic status, it is unlikely that the totality of a person’s capital endowment can be adequately represented in its complexity and constant change. Nevertheless, this concept of the reproduction of social inequality has mostly established itself. Contributions to the discussion by French sociologists in the wake of Bourdieu now attest to the increasing positivism of the habitus concept. The question of social justice formulated by critical sociology and political theory is not considered obsolete by Bourdieu’s students such as Luc Boltanski (2007). But the manner in which it has been presented and empirically investigated so far tends to exclude the recognition of possible emancipatory potentials. The accusation is that critical sociology confirms its underlying assumption of social injustice. Thus, the social actors themselves are – quasi scientifically – deprived of any room to manoeuvre, or the optionalities that could open up are assigned to externally determined principles of a rule that are not seen through by the actors. Therefore, this study combines the socio-economic “Civic Voluntarism Model” with Bourdieu’s capital theory. Thus, the participation-relevant factors of the Civic Voluntarism model (can, want, be asked) are translated by Bourdieu’s forms of capital (economic capital, cultural and social capital) and thus examined in an empirically innovative way, i.e. discourse-analytical access to the narrative self-references of one’s political perception of oneself, others and the world is sought. In order to arrive at this step, in the further course of the research project, the present case study presents the first qualitative content analyses and then summarizes them in theses for further processing. The study included semi-standardised interviews. The guideline expresses the phases of political socialization that essentially follow the categories of ability (economic situation, educational background), will (motivation, biographical background) and being asked about (social networks, political topics). In addition to the information on the interviewees’ commitment to higher education policy, the framing factors for the persons, such as age, study programme and self-awareness of their financial situation, were also surveyed. The sample was initially eight persons and was then reduced according to the data from the status query. Four persons remained, on whom both the observation and the collection of verbal data were subsequently concentrated. However, since this study is a decoupling of a longer-term project, the character of the study does not go beyond that of a pilot study. For qualitative research, Creswell (1998) recommends 5 – 25 and Morse (1994) suggests at least six cases. For procedures based on Grounded Theory, for example, even more. The present study therefore primarily serves to gain hypotheses, for which guideline interviews are very suitable (Stier 1999: 189). Another aim of the study is to compare the interviewees with regard to their statements on their commitment to higher education policy. Open variants of the interview, such as the narrative interview, are therefore inappropriate. This is also because the narrative structure is not the focus of interest in this study. After the interview, the interviewees answered a questionnaire. The questionnaire collected general information on the persons who might be relevant as influencing factors for the later evaluation of the study. In addition, the interviews were to be facilitated by asking for this information in writing. Thus, framing information such as age, study programme and subject semester were recorded. It also asked for information on political commitment, such as committee functions and university group membership. In addition, a core task of the questionnaire was to record the educational background of the four respondents and their perceived financial situation. This was an important part of the survey in order to establish a fit between the basic theoretical models. Thus, in the questionnaire the self-perceived financial situation was surveyed on a scale from “very good” to “very bad”, as well as the highest vocational qualification achieved by the parents. In the evaluation of the material, main categories were first formed on the basis of the guide and the theoretical background. Then the categories were further developed during the work on the transcripts. This resulted in a category system with seven main categories and five sub-categories. The category system describes the “totality of all categories” (ibid., p. 38). Categories were created according to thematic and analytically abstract criteria. This resulted in thematic and analytical categories (Kuckartz 2016, p. 34). All text passages of the four interviews were assigned to the respective main and sub-categories. Coding rule: The influence of the parents on the commitment to higher education policy and their work as an instance of politicization. Coding rule: Factors that prevent other students from becoming active in higher education policy. Subsequently, the original utterances assigned to the categories were summarized in their own words, Kuckartz calls this intermediate step the creation of “Summaries” (Kuckartz 2016, p. 111). Next, case summaries of the individual interviewees and thematic summaries of the individual categories were written. This resulted in a table consisting of the summarised original utterances, case summaries and category-based summaries. The aim of producing this paraphrased overview is “to present it later in tabular form as case summaries in which several interviews can be compared in relation to selected categories” (ibid., p.114). Thus, on the basis of the text tables, it was examined to what extent the individual categories were interrelated and what role the framing information previously collected in the questionnaire could play. Hypotheses were then generated on the basis of these results, which represent the preliminary result of the study. Based on the data from the interviews and the questionnaire, this analytical framework and the application of the method made it possible to systematize the fundamental meaning and reliable interpretations that were plausible and coherently corresponded to the research questions. This may be related to a problem that seems to be present in qualitative research: the overuse of “bricolage,” sometimes ending in the mix of different methodologies, leading to a position of “anything goes” or at least to a position of excessive relativism called “blurred genres” (McLeod 2001, p. 9). A detailed discussion on this cannot be provided here, but the authors of this study would like to show that they are aware of the problems of validity and comprehensibility of qualitative research. For this reason, the evaluation strictly adhered to the evaluation steps of the qualitative content analysis according to Kuckartz, which structures content. The aim of the mixed-method design was to ensure that the self-received social status and what was continuously described in the study as educational origin was not only subjective – in the sense of perceived – but also objective. In the further course of the research with a correspondingly larger sample, the hypotheses gained from this pilot study would have to be elaborated further and other adequate evaluation methods would have to be used accordingly. As the first methodologically sound approach to the topic, we consider the procedure described to be comprehensible and valid. One selection criterion was that the four students had to have been previously active in higher education politics or were currently active in higher education policy. None of the interviewees should have deliberately ended the higher education political activity. Furthermore, the students should differ with regard to their educational background. Two of the interviewees had parents whose highest vocational qualification was a university degree and the other two come from parental homes where none of the parents had obtained a university degree. Concerning the selection of university group membership, it was important that the interviewees were active in university groups that had a visible political orientation that went beyond student representation of interests and the responsibilities enshrined in the Higher Education Act. For it can be assumed that the motivation between a more general, politically oriented university group and a simple electoral list, such as the economics list, differs solely by membership in these two different groups. Also, a certain similarity in the political orientation of the university groups was sought in the selection of the university groups, since, here too, it can be assumed that substantial differences in general policy could constitute a disruptive factor concerning the motivation for the commitment. This final section presents the main findings of the study using two hypotheses. The premises are the result of the comparison of several interviewees concerning their statementsi in the respective categories. In the presentation of the results, the hypotheses developed are presented and then explained, revealing which correlations led to the generation of the latter. (1) The educational background influences the political interest and higher education political activity of the students in different ways, depending on the extent to which they are provided with participation-relevant resources, and thus the probability of political recruitment successes. The study revealed that all respondents were confronted with political content in different ways by their parents. This can be interpreted in the sense that the parental home is a factor that has influenced students in their higher education political activities. Since all respondents somehow talked to their parents about politics during their school years, it can be assumed that a minimum degree of parental politicization is required in order to become highly politically active later in life. In the study, a comparison of the influence of parents on their own political development and participation showed that this tends to move in opposite directions. In part, the need for distinction was responsible for the development of one’s own political interests, and parents and their political activities can be regarded as role models and inspiration at the same time. What is striking in the material is the connection between social origin and the mention of one’s own parents. In a case in which the interviewee is very enthusiastic and well-informed on the political career of the parents, the educational background of both parents is academic, and the mother is the point of reference for the students’ own discussion of political issues. This effect is increasingly weakened in the survey, with decreasing participation-relevant resources of the parents. In another case, the perceived political past life, based on the activities and arguments of the parents, differs sharply from the other interviewees. Despite the fact that the parents have the same formal academic qualifications, the parents with a migration background are hardly responsible for or involved in the political development of the interviewee in a similar way. This makes it clear that the usability of institutionalized cultural capital is context-dependent, and that cultural capital must therefore be transformed into other forms of capital, so that the reproduction process of social inequality does not have an effect (Bourdieu 1983: 191). 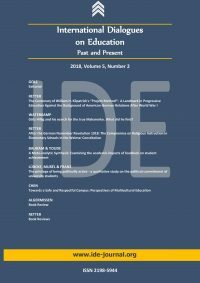 This small case study condenses the indications that resources relevant to participation play a unique role in the probability of participation in higher education politics. This is not particularly surprising, but it also shows that the gradual differences in the habitual spaces of possibility, with actually the same starting position in formal terms, promote the reproduction of social inequality. This impression is reinforced if one considers that the pre-university political interest and political activity is articulated in the analysis instead as a subcultural desire or in the sense of a lifestyle. Participation in demonstrations against Nazi marches, a vegetarian lifestyle and ultimately acceptance among friends shows that there was initially only a diffuse political understanding. It is interesting to note that the interviewees had a more serious and consolidated interest in parties that did not show any complicity in injustice in the adolescence phase. The interest is partly connected with concrete career strategies. It makes sense that those political parties, that are considered responsible for legitimizing injustice through their policies, are not considered relevant and attractive by the interviewees. Accordingly, the educational background is an essential factor for the acceptance of higher education political activities, whereby it is preferably the individual’s own motivation that is decisive as to whether the process of participation is positive. (2) In particular, social grievances associated with external and personal experience motivate students to get involved in university policy. As already mentioned, the motivation of the interviewees to get politically involved is marked by the grievances perceived by society. The interviewees show differences in the way that, if their ideas of university political commitment correlate with political career ideas, they found sustainability-related, examination-related and financial “grievances” in everyday student life interesting and addressed them. Respondents who deal with general social grievances, some of which affect themselves, tend to be more politically involved in society as a whole, addressing issues such as “a good life” and “social justice”. At this point, higher education political commitment is perceived as particularly meaningful and realistic. Concrete higher education policy issues tend to be pushed into the background, as there is hardly any room for these topics in the necessary scope of the committees of higher education politics. It must be pointed out that the case studies barely took into account the influence of political desirability and habitual imprints. In fact, it seems that the motivation for higher education political commitment can mainly be traced back to social mainstream issues such as gender, plurality, sustainability, etc. It became apparent that social and habitual influences increase the motivation for higher education political commitment and that in the cases which described the way in which this is done the motivation is strongly dependent on one’s own educational background. Determined and objective approaches in party-related youth organizations are to be found above all among students with clear career ideas and a slightly lower educational background. In the case of people with socio-economic, social and political experiences of discrimination, the way in which they engage themselves in higher education politics is more influenced by the world in which they live and serves as an early means of networking with like-minded people. The duration of commitment to higher education politics is the same for all interviewees. Most respondents describe their commitment as very important for their own development and the professionalization of committee activities. “For me it offers very much thematically, because I also have this (…) this whole aspect, of the (…) of the (…) of the organization, structure (…) yes management with it and that one can learn a lot, naturally, in university politics (B4, 204-207). The practice of higher education politics has a weakening effect on the interviewees, but almost everyone appreciates the practiced form of democratic decision-making. In addition, there are debates on topics that do not receive any attention in the university context, such as thinking about post-growth economies or social changes in the context of the migration movement. How do students at Otto-von-Guericke University Magdeburg become active in university policy? The empirical results show clearly that they become active in the field of political participation because they can do it, because they want to and because they are asked to. In the area of ability, the predominantly “very good” financial situation of the interviewees was particularly impressive. Only one of the interviewees rated his financial situation as significantly worse than the others, which probably also had an effect on the associated burdening perception of higher education commitment. The factor of the existence of a migration background also seemed to have an influence in the study on the pre-university political knowledge with which the students went into their higher education political activities. If the area of willingness is considered, it is particularly noticeable that respondents with a lack of academic background on the part of their parents had to show more interest and willingness of their own to become active in higher education policy than students with academically educated parents. Students whose parents had obtained a university degree were also asked whether they wanted to become active in higher education politics. The recruitment came mainly from the circle of friends and acquaintances, whose members were usually already active in university politics and had organized themselves into a university group. This point was not addressed in the interviews with the two interviewees, who came from a non-academic family. From this insight, it can be concluded that even within university politics, the same students tend to become politically active and thus the same political habitus is reproduced repeatedly. This leads to the assumption that political inequality, which in turn is based on social inequality, is reinforced in the course of the studies. However, it can also be seen from the interviews that higher education political activity does not seem to be utterly unattainable to students with a non-academic parental home, since two of the interviewees emerged from such parental homes. However, this aspect can be traced back to the fact that a prior interest was combined with strong willpower on the part of the interviewees and that particular hurdles in getting involved were thus able to be overcome. The extent to which students with low political interest from non-academic families are given the opportunity to become active is the goal of future studies. On the basis of the empirical results available, it can be seen that students from non-academic parental homes are probably less likely to become active than students whose parents have obtained a university degree. However, there are still no empirical findings on the composition of student representatives. Further studies would now have to clarify the composition of student representation along socio-demographic variables. Aldrich, J. H. (1997). Positive Theory and Voice of Equality. In American Political Science Review, vol. 91, Nr. 2, pp. 421-422. Bourdieu, P. (1983). Ökonomisches Kapital, kulturelles Kapital, soziales Kapital. In Kreckel, Reinhard (Eds.). Soziale Ungleichheiten. Göttingen: Verlag Otto Schwartz & Co., pp. 185-196. Boltanski, L. & Thévenot, L. (2007). Über die Rechtfertigung. Eine Soziologie der kritischen Urteilskraft. Aus dem Französischen von Andreas Pfeuffer, Hamburg, Hamburger Edition. Brady, H. E., Verba, S., & Schlozman, K. L. (1995). Beyond Ses: A Resource Model of Political Participation. In American Political Science Review, vol. 89, Nr. 2, pp. 270– 291. Brüchert, O. (2010). Neoliberale Hochschulpolitik, oder: Wie die Hochschulen durch umfassende Etablierung eines Pseudo-Wettbewerbs zugrunde gerichtet werden. In Bauer, Christoph et al. (Eds. ), Hochschule im Neoliberalismus. Kritik der Lehre und des Studiums aus Sicht Frankfurter Studierender und Lehrender. Frankfurt am Main: Goethe-Univ, pp. 37–39. Creswell, J. W. (1998). Qualitative inquiry and research design: Choosing among five traditions. Thousand Oaks, CA: Sage Publications. Dangschat, A. (1998). Armut und soziale Integration. Strategien sozialer Stadtentwicklung und lokaler Nachhaltigkeit. Wiesbaden: VS Verlag für Sozialwissenschaften, p. 50. Dippelhofer, S. (2015). Politisch-demokratische Orientierungen und hochschulpolitisches Engagement von Studierenden. Empirische Befunde.In Zeitschrift für Bildungsforschung, Wiesbaden: Springer Fachmedien, p. 147. Gabriel, O. (2004). Politische Partizipation. In van Deth, Jan W. (Eds), Deutschland in Europa. Ergebnisse des European Social Survey 2002-2003. Wiesbaden: VS Verlag, pp. 326-327. Hansen, E. (2009). Politische Partizipation in Europa. Erklärungsfaktoren und ihr Zusammenwirken. Marburg: Tectum Verlag, pp. 17-24. Kuckartz, U. (2016). Qualitative Inhaltsanalyse: Methoden, Praxis, Computerunterstützung, 3. Auflage. Weinheim und Basel: Beltz Juventa, pp. 21 – 114. McLeod, J. (2001). Qualitative research in counselling and psychotherapy, London: Sage. Morse, J. M. (1994). Designing funded qualitative research. In Denizin, N. K. & Lincoln, Y. S., Handbook of qualitative research (2nd Ed). Thousand Oaks, CA: Sage. Multrus, F., Majer, S., Bargel, T., & Schmidt, M. (2017). Studiensituation und studentische Orientierungen. 13. Studierendensurvey an Universitäten und Fachhochschulen. Bundesministerium für Bildung und Forschung (Eds.). Bielefeld: W. Bertelsmann Verlag, p. 82. Otto-von-Guericke-Universität Magdeburg (2017). Wahlen im Sommersemester 2017. URL: http://www.ovgu.de/unimagdeburg_media/Organisation/Wahlen/AWE17.pdf (retrieved: 2018, February 15). Schnell, R., Hill, P. B., & Esser, E. (2013). Methoden der empirischen Sozialforschung, 10. Aufl. München: Oldenbourg, p. 378. Schreier, M. (2014). Varianten qualitativer Inhaltsanalyse: Ein Wegweiser im Dickicht der Begrifflichkeiten. URL: http://nbn-resolving.de/urn:nbn:de:0114-fqas1401185 (retrieved: 2018, March 7). Stier, W. (1999). Empirische Forschungsmethoden. 2. Aufl., Berlin: Springer, p. 189. Van Deth, J.W. (2009). Politische Partizipation. In Kaina, V. & Römmele, A. (Eds). Politische Soziologie. Wiesbaden: VS Verlag für Sozialwissenschaften, p. 141. Verba, S., Schlozman, K. L. & Brady, H. E. (1995). Voice and Equality. Civic Voluntarism in American Politics. London: Harvard University Press, pp. 270–562. Vetter, A. & Remer-Bollow, U. (2018). Bürger und Beteiligung in der Demokratie. Eine Einführung. [Holtkamp et al. (Eds.).] Wiesbaden: Springer VS,, pp. 79-84.
i The complete transcripts as well as the text tables of the content-structured analysis can be requested from the authors. For reasons of space, no larger paraphrases or interview excerpts could be placed in this article. The interview passages for this article were translated into English.